It’s not the most attractive vegetable in the world. But then, what root vegetables are attractive, really? Did you know that the sweet potato is only distantly related to the potato? We’ll call it the potato’s sweet cousin. Sweet potatoes are a great source of beta-carotene, a powerful antioxidant that helps ward off cancer and protects against the effects of aging. Sweet potatoes are also high in vitamins B6, C, and D.
AND they’re a good source of fiber, potassium, and magnesium. So, despite their look, you can’t go wrong with sweet potatoes. 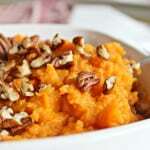 I decided to look for a healthy sweet potato recipe that can be used as a side dish for the holidays. Why only eat this over the holidays? 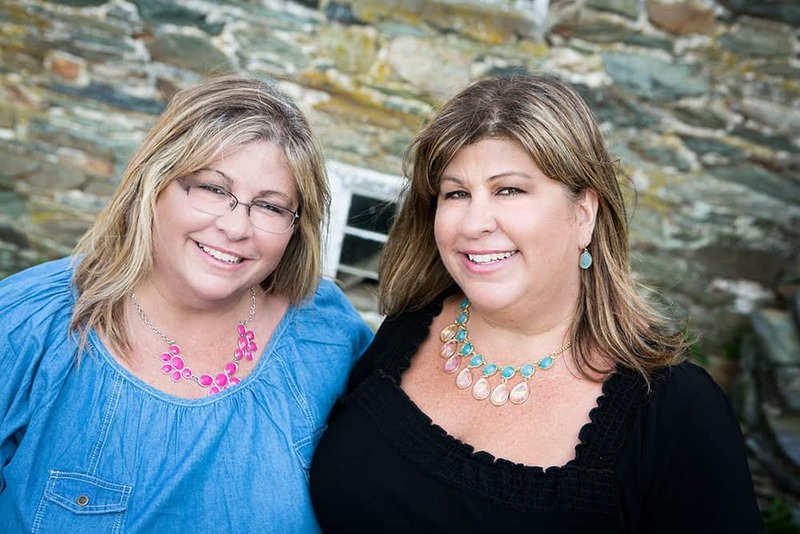 Why not enjoy it year-round? 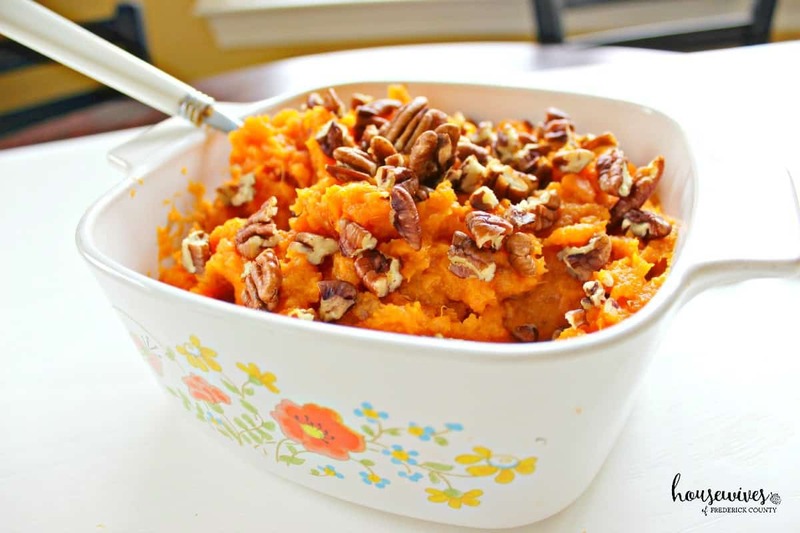 I found a recipe for Butter Pecan Mashed Sweet Potatoes in my trusty Cooking Light 2015 Recipe Calendar. What I absolutely love about this recipe, is not only does it only have 5 Weight Watchers Points Plus Value per serving, but it’s ridiculously easy to make AND it’s delicious! Pierce each potato with a fork 3 to 4 times on each side. Wrap each potato in a damp paper towel. Microwave at HIGH 8 minutes, turning after 4 minutes. (NOTE: My sweet potatoes took much longer to cook in the microwave. Closer to 20 minutes. Check with a fork every 10 minutes until sweet potatoes are cooked through) Cool slightly. Cut potatoes in half; scoop pulp into a bowl. Mash pulp. As I noted in the recipe, the sweet potatoes took a lot longer than 8 minutes in my microwave for them to cook through. So just check every 4 to 8 minutes with a fork until they feel fully cooked. 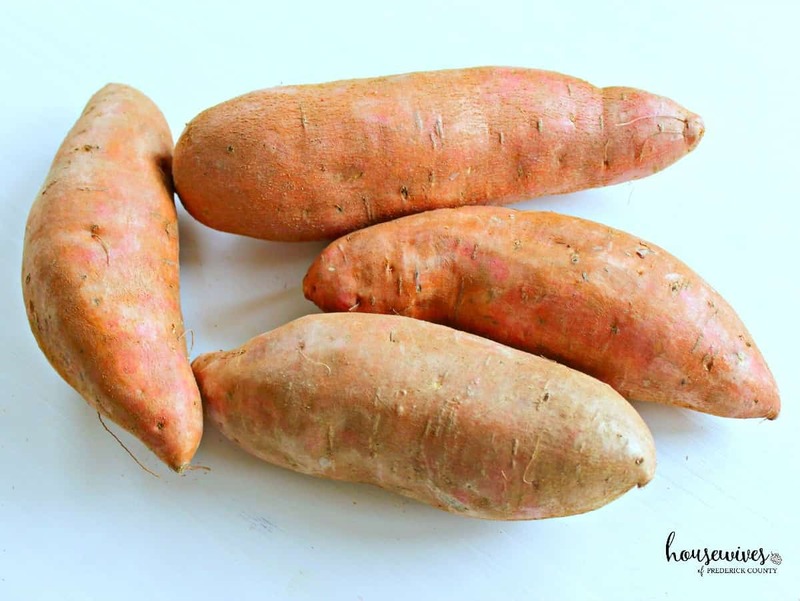 I loved cooking them in the microwave and scooping out the flesh of the sweet potatoes instead of having to peel them, cut them, and boil them. It took much less prep time. I also used a hand masher instead of an electric mixer. 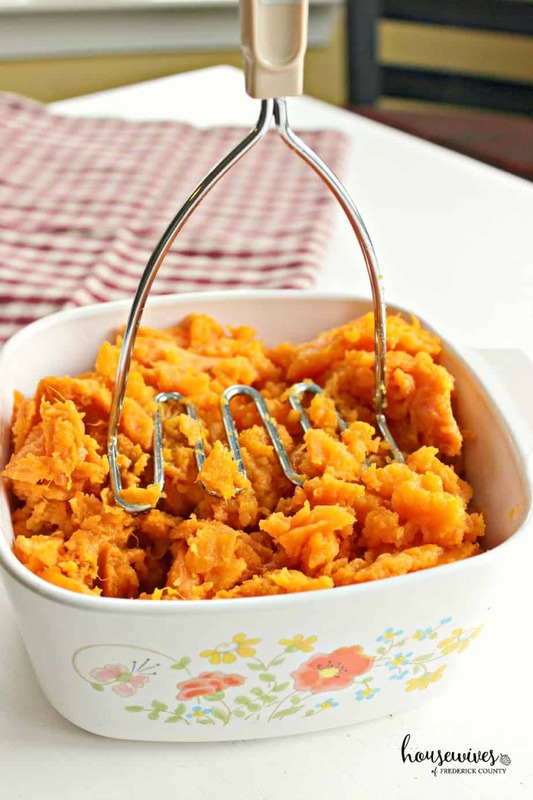 It was very easy to mash the sweet potatoes and made a lot less dirty dishes. Add some milk, melted butter, salt, and chopped pecans and it’s done! I didn’t toast the pecans like the recipe suggested. Somehow I skipped that part. But it turned out delicious anyway. Just the right amount of buttery sweetness and crunchy pecans in every bite. Because sweet potatoes are so high in fiber, a little bit goes a long way. 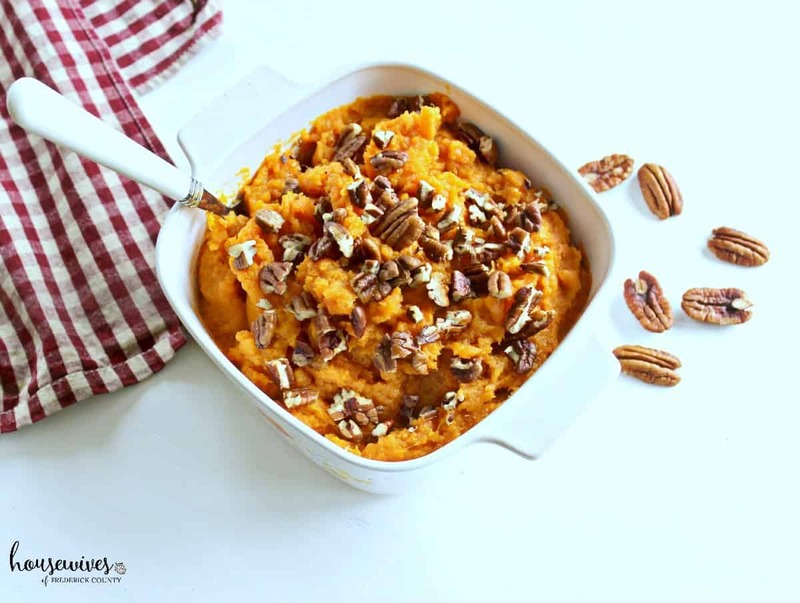 My husband isn’t a big sweet potato fan, but he really liked this recipe. 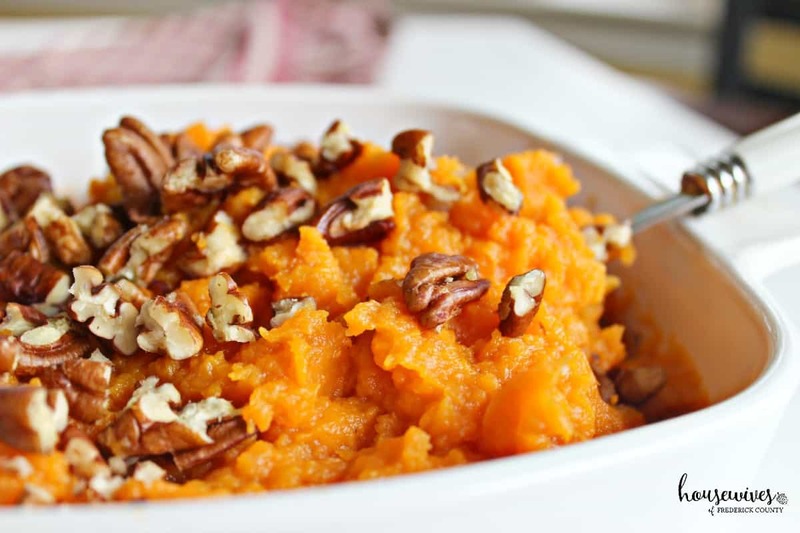 Do you have any go-to sweet potato recipes? I looks so darn good!! Maybe you should make that for Thanksgiving? I cook baked potatoes in the microwave for 20 minutes, turning a few times. That might work. I guess that could travel well and then I could reheat it. Love the recipe, but I added some brown sugar to mine. It was the bomb. I ate the whole thing.